Recent Mad To Live Reteats attendee and friend for life Natalia Fludra is a woman after our own heart. To me Natalia perfectly epitomises exactly what I have endeavoured to showcase about Mad To Live Retreats: being a modern, successful woman (Natalia works in law) who also is passionate about actively following her interests and dreams and does not sacrifice them. 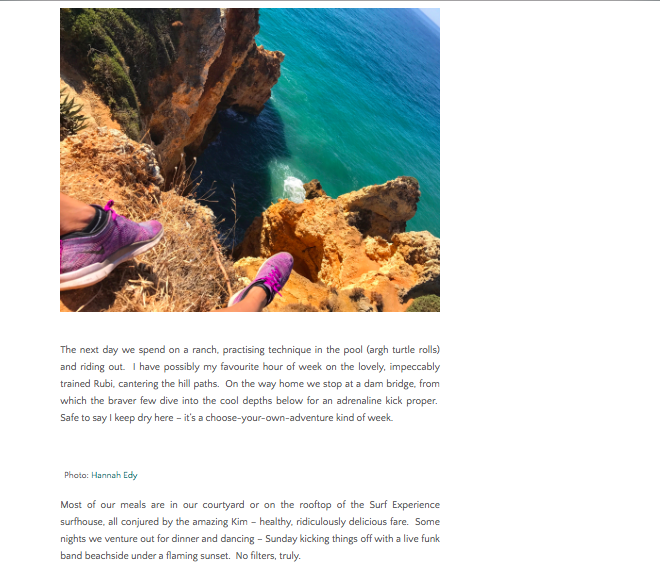 A regular traveller in search of dreamy waves and adventure, Natalia is also an incredibly talented writer, penning the whimsically stunning blog Days Of Creature. 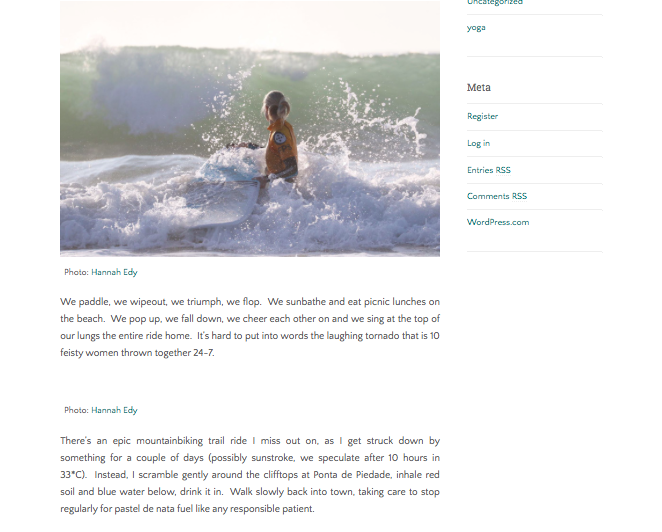 We were stoked to have the brilliant Natalia join us on a recent leg of Mad To Live Retreats x The Surf Experience in Portugal this summer, and even more so when we read her righteous piece she penned after her travels with us. 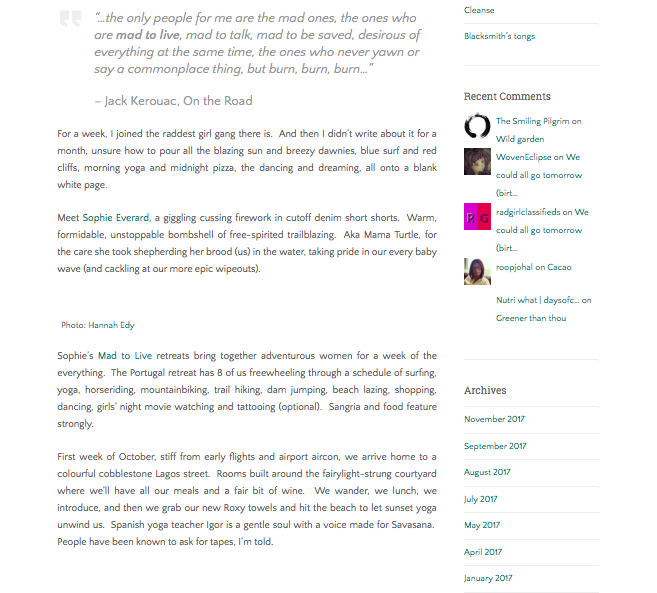 Check out the full story below, and cruise over to the retreat page to nab your space on one of our legendary retreats.